If you're not currently a 7m Underground member, join now to help support Lance's mission! 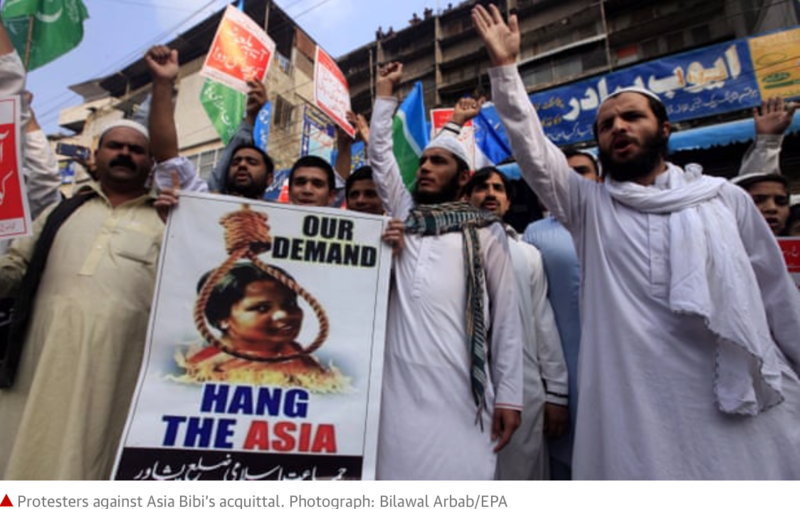 The acquittal of Asia Bibi in has been met by violent blasphemy protests in Pakistan. In response to the protests, authorities agreed to put Bibi on the exit control list (ECL), as well as the government promised not to oppose a court petition to reverse the decision that acquitted her. “Placing Asia Bibi on the ECL is like signing her death warrant,” said Wilson Chowdhry of the British Pakistani Christian Association. Bibi, a mother of five, remains in the same prison where last month two men tried to kill her, although she has been shifted out of her windowless cell. The agreement was a “historic capitulation”, tweeted analyst Mosharraf Zaidi. On Wednesday night, the prime minister and leader of the PTI, Imran Khan, defended the verdict acquitting Bibi and suggested the government would clamp down on protesters it termed “enemies of the state”. No Comments on "Pakistan Works To Stop Asia Bibi Leaving After Blasphemy Protests"
Abundant Rain, Super Bloom and Butterflies – Signs of a New Day! Get Ready for the More That’s in Store!